Recent green initiatives have helped LED (light-emitting diode) lighting systems proliferate. As we make our buildings more energy efficient, a parallel trend is making office spaces more collaborative and inclusive – more open. Let’s be clear: LED fixtures are great. These lighting systems are proven to be much more energy efficient and durable, lasting years longer than other bulbs. They’re better for the environment and the economy. Appropriate light levels are central to job performance – a bright workplace can be just as detrimental as a dim one. Open office spaces foster collaboration with lower partition heights and communal areas. The goals is to boost job performance and cut down on costs. But, without partitions and closed-off spaces, workers become exposed to much more light in open office spaces. Additionally, newly designed work spaces often maximize their exposure to natural light. This, combined with overhead LED fixtures, can cause very excessive light levels. 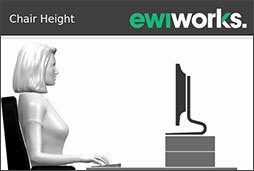 During office ergonomic assessments, EWI Works has measured light levels of 1,200-1,500 lux (units of illuminance) at window-facing workstations. Recommended levels are 300-500 lux. Even away from windows, a trend toward white walls and surfaces causes a lot of reflection, further increasing the risk of workers developing computer vision syndrome. Glare and reflection can create excessive light levels, even far from sources of natural light. 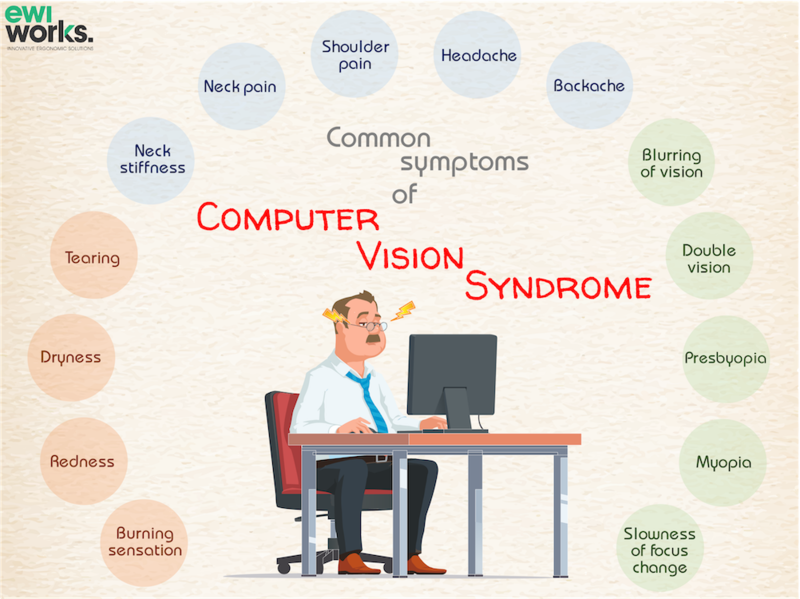 This can lead to headaches and eye strain, though some people are more susceptible than others. LED fixtures produce a lot of blue light, which is known to disrupt our circadian rhythm and impact sleep. 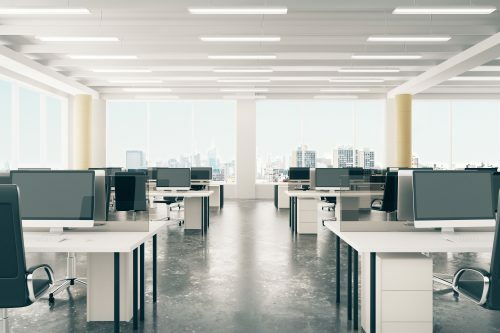 An office space with newly-installed LED lighting systems might appear brighter, but could still register the same lux level as previous fluorescent or incandescent fixtures. Montreal is now replacing 132,000 LED streetlights with softer LEDs, emitting a hue closer to the colour of the moon. After hearing concerns over health risks, the city decided to convert the lights – for a price of $100 million. How can we balance LED lighting systems and open office spaces? While doctors have been warning of possible risks associated with LEDs for years now, many articles and blogs continue to promote them without any mention of best practices. Don’t get me wrong, I fully support LED lights. However, we need to make sure they are installed and controlled in a way that doesn’t compromise job performance or employee health. Tunable lights, which adjust levels according to time of day and natural light, have been installed at some schools and offices in the United States. These systems are still in their infancy and will take time to be perfected. Fortunately, building certifications are being updated to reflect this. LEED certification awards extra points for lighting systems that can dim or adjust brightness. EWI Works recommends aiming for lower light levels, around 300 lux, and then using task lights if staff need extra lighting to complete certain work. We’ve encountered workers in open office spaces using sunglasses, hats, or screens to try and reduce eye strain. This shouldn’t be necessary and has no place in a collaborative working environment. Lastly, we need to create more awareness around the importance of proper light levels. This is central to an ergonomic environment. When British Columbia announced it would be switching to LED lights, they listed all the benefits this would bring, but didn’t once mention a health concern. Employees shouldn’t be getting doctor’s notes for light-related symptoms at work. But, maybe this wouldn’t happen if building certifications gave offices more than one point for having an ergonomics program (which is, for reference, the same points as for having a bike rack!). If you think your office might be too bright, find out how EWI Works can help at our services page. 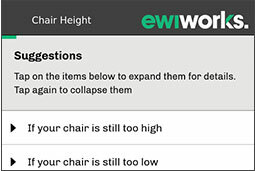 EWI Works offers many services that can improve your quality of life. Find out more about our Online Training, Services, and Resources.